Essay Contests For Middle School Students 2010. High schoolers: Enter FIRE’s Free Speech Essay Contest!  First Place National Essay Winner ($1,000 scholarship): Simon Levien, Sparta High School, Sparta, N.J.
 Second Place, $500 Scholarship Winner: David Oks, The Masters School, Dobbs Ferry, N.Y.
 Third Place, $300 Scholarship Winner: Christine Condon, Dulaney High School, Timonium, Md.  First Place National Essay Winner ($1,000 scholarship): Matthew Zipf, Richard Montgomery High School, Rockville, Md.  Second Place, $500 Scholarship Winner: Philip Kim, Paramus High School, Paramus, N.J.
 Third Place, $300 Scholarship Winner: Sania Chandrani, Parkview High School, Liburn, Ga.
 First Place National Essay Winner ($1,000 scholarship): Tianyu Lin of Milton Academy in Milton, Mass.  Third Place, $300 Scholarship Winner: Jacob Bloch of Paul D. Schreiber High School in Port Washington, N.Y.
 First Place National Essay Winner ($1,000 scholarship): Courtney Swafford of Write from the Heart in Wilmington, Del.  Second Place, $500 Scholarship Winner: Anran Yu of Desert Vista High School in Phoenix, Ariz.
 Third Place, $300 Scholarship Winner: Chuli Zeng of Woodbridge High School in Irvine, Calif.
 First Place National Essay Winner ($1,000 scholarship): Hwasung (Daniel) Yoo of Maggie L. Walker Governor's School for Government and International Studies in Richmond, Va.
 Second Place, $500 Scholarship Winner: Niisackey Mills of South Plainfield High School in South Plainfield, N.J.
 Third Place, $300 Scholarship Winner: Dustin Chandler of East Burke High School in Connellys Springs, N.C.
 First Place National Essay Winner ($1,000 scholarship): Emerson Hardebeck of Timberline High School in Lacey, Wash.
 Second Place, $500 Scholarship Winner: Shaun Moran of St. Augustine Prep School in Richland, N.J.
 First Place National Essay Winner ($1,000 scholarship): Erin McDonough of Bishop OConnell High School in Arlington, Va.
 Second Place, $500 Scholarship Winner: Shaj Mathew of Huntingtown High School in Huntingtown, Md.  Third Place, $300 Scholarship Winner: Xiaonan April Hu of Thomas Jefferson High School for Science and Technology in Alexandria, Va.
 First Place National Essay Winner ($1,000 scholarship): Alix Cohen of Cypress Bay High School, Weston, Fla.
 Second Place, $500 Scholarship Winner: Victor Hollenberg of Staples High School, Westport, Conn.
 Third Place, $300 Scholarship Winner: Alyssa Patrick of Eisenhower High School, Yakima, Wash.
 First Place National Essay Winner ($1,000 scholarship): Mark Brouch, Aurora Central Catholic High School, Aurora, Ill.
 Second Place, $500 Scholarship Winner: Evan Rich, Jericho High School, Jericho, N.Y.
 Third Place, $300 Scholarship Winner: Danna Seligman, Newbury Park High School, Newbury Park, Ca.  First Place National Essay Winner ($1,000 scholarship): David Kelly, Broomfield High School, Broomfield, Colo.
 Second Place, $500 Scholarship Winner: Second Place, $500 Scholarship Winner: Dan Garon, Robbinsdale Armstrong High School, Plymouth, Minn.
 Third Place, $300 Scholarship Winner: Erin Gowdy, Bob Jones High School, Madison, Ala.
 First Place National Essay Winner ($1,000 scholarship): Angelika Zych, Vanguard High School, in Ocala, Fla.
 Second Place, $500 Scholarship Winner: Jonathan Homrighausen of Sunnyside High School in Sunnyside, Wash.
 Third Place, $300 Scholarship Winner: Amy Brooks of Clayton High School in Clayton, Mo.  First Place National Essay Winner ($1,000 scholarship winner) : Mindy Zhang, Robinson Secondary School, Fairfax, Va.
 Second Place ($500 scholarship winner): Zachory John Drisko, Green Hope High School, Cary, N.C.
 Third Place ($300 scholarship winner): Katie Roberts, Home schooled, Walnut Shade, Mo.  First Place National Essay Winner ($1,000 scholarship winner): Heather Hamilton, Sentinel High School, Missoula, Mont.  Second Place ($500 scholarship winner): Logan Oyler, Hickory High School, Chesapeake, Va.
Jonathan Ross Kaplan, Nova High School, Davie, Fla.
Michael Anthony Fedele III, Northwestern High School, Rock Hill, S.C. The Sigma Delta Chi Foundation of the Society of Professional Journalists and the Journalism Education Association want to increase high school students knowledge and understanding of the importance of independent media to our lives. National winners of this essay contest receive scholarship awards. All entries should be postmarked by February 23, 2018. 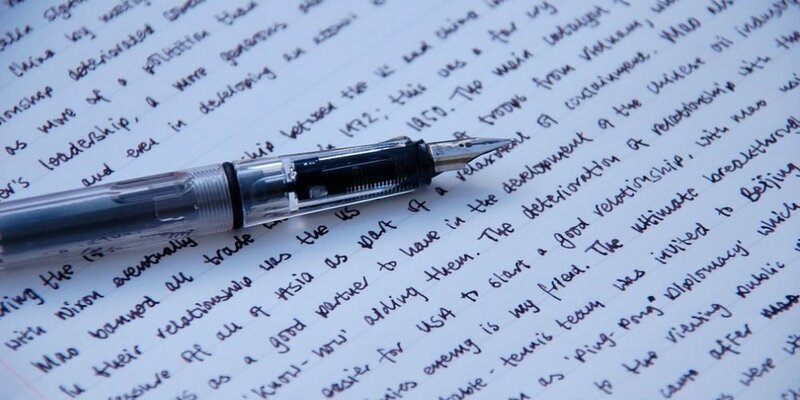 For official contest rules and information on how to enter this years High School Essay Contest, please visit this link.